Johannes “Hannes” Seifert was born on 6 October 1915 at Pinneberg in Holstein. Seifert participated in the invasion of Poland as a Zerstörer pilot before transferring to the Jagdwaffe. He was then posted to JG 26. Oberleutnant Seifert was appointed Staffelkapitän of 3./JG 26 on 1 March 1940. He gained his first victory when he shot down a Dutch Fokker D.XXI fighter on 10 May 1940 near Rotterdam. By the end of 1940, his victory total stood at eight.  On 11 July 1941, Seiffert was appointed Gruppenkommandeur of I./JG 26, a post he was to hold until 31 May 1943. He had raised his victory total to 24 by the end of 1941. 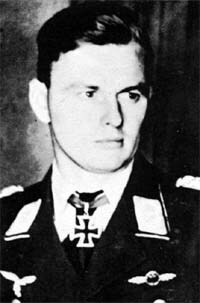 On 7 June 1942, Hauptmann Seifert was awarded the Ritterkreuz for 36 victories. Over the Dieppe landings, Seifert gained his 41st victory, shooting down a RAF Spitfire fighter. In January 1943, Major Seifert was ordered to take I./JG 26 to replace a Gruppe of JG 54 on the Eastern Front. Between 18 February and 18 March Seifert’s pilots claimed 75 victories, while suffering only three combat casualties during the Demyansk withdrawal. Moved to Smolensk, I./JG 26 covered the final stages of Operation Büffel. Seifert recorded 11 victories during his time in Russia. On 1 June 1943, Seifert gave up command of I./JG 26 and took up a position on the staff of the German mission to Bulgaria. Unknown to Seifert, his mother had invoked the last surviving son rule when his younger brother, Gerhard, a fighter pilot serving with III./JG 26, was killed, and requested his removal from combat duty. Major Seifert was reprieved from his exile in Bulgaria after an appeal to General Adolf Galland (104 victories, RK-Br). He returned as Gruppenkommandeur of II./JG 26 on 9 September 1943. On 25 November 1943, Seifert led 6. and 8./JG 26 against P-38 twin-engine fighters of the 55th FG, USAAF on a sweep over Lille. In the resulting combat Seifert’s Fw 190 A-6 (WNr 470006) << + - was seen to collide with an opposing P-38, dive away out of control and crash. Seifert’s body was found still strapped in the weckage of his plane. Seifert was posthumously promoted to the rank of Oberstleutnant. Johannes Seifert flew 439 combat missions resulting in 57 victories. He recorded 46 victories over the Western Front, including three four-engine bombers and 32 Spitfires. Included in the 10 victories he recorded over the Eastern front are six Il-2 Sturmoviks.